What are…Laos’ International Human Rights Obligations & Commitments? The Lao People’s Democratic Republic (LPDR) has participated in the first two rounds of the Universal Periodic Review (UPR) of its human rights records, but its compliance and engagement with other UN human rights mechanisms has been very limited, despite its treaty obligations and UPR commitments. This low level of cooperation is particularly worrying given the lack of meaningful access to domestic remedies for human rights violations, which continue to take place with impunity. BANGKOK, 31 Agustus 2016 – Pada malam pertemuan tahunan pimpinan negara ASEAN di Vientiane, kelompok-kelompok advokasi dan HAM memberikan seruan kepada Pemerintah Laos untuk menangani kasus pelanggaran HAM yang meluas di negara Laos, termasuk kasus penghilangan paksa dan penahanan yang sewenang-wenang. Para pemimpin negara yang hadir memiliki kesempatan unik untuk mengangkat kepedulian mereka terhadap pelanggaran HAM selama pertemuan tersebut di Vientiane dari tanggal 6 sampai 8 September. Mereka harus menekan pemerintah Laos untuk menghentikan pelanggaran HAM yang secara konsisten telah meletakkan Laos pada posisi terendah dalam indeks HAM dan pembangunan yang diukur berdasarkan hak asasi warga negara, kebebasan pres, demokrasi, kebebasan beragama, dan transparansi ekonomi. Pada konferensi pers yang diadakan oleh The Sombath Initiative di Foreign Correspondents Club, Bangkok, Thailand, kelompok-kelompok tersebut mempublikasikan satu set dokumen terkait dengan penghilangan paksa pemimpin masyarakat sipil, Sombath Somphone, pembatasan demokrasi dan HAM oleh pemerintah Laos, kurangnya kebebasan berpendapat, kegagalan pemerintah dalam menjalankan kewajiban HAM, dan dampaknya pada bantuan dan investasi asing. (Bangkok, August 31, 2016) – On the eve of the annual ASEAN leaders summit in Vientiane, human rights and advocacy groups called upon the Lao PDR Government to commit to address its widespread violations of human rights, including instances of enforced disappearances and arbitrary detention. Visiting world leaders have a unique opportunity to publicly raise human rights concerns during the ASEAN summit in Vientiane from September 6-8. They should press the Lao government to cease the abuses that have consistently placed Laos at the bottom of rig hts and development indexes measuring rights, press freedom, democracy, religious freedom, and economic transparency. 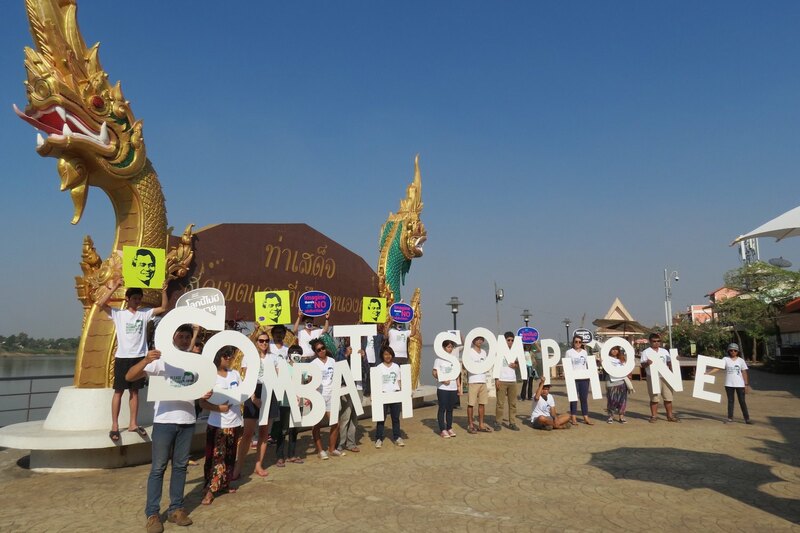 Today marks 1,000 days since prominent Lao civil society leader Sombath Somphone “disappeared” at a police checkpoint on a busy street in Vientiane. We, the undersigned organizations, reiterate our call for the Lao government to intensify its efforts to conduct a prompt, impartial, and effective investigation into Sombath’s apparent enforced disappearance, to determine his fate or whereabouts, and to take the necessary measures to bring those responsible to justice. At the second Universal Periodic Review (UPR) of Laos, held in Geneva on 20 January 2015, 10 states made recommendations to Laos to investigate Sombath’s disappearance. In addition, five states raised questions about the issue.